It’s more than just a service. It’s a lifestyle that revolves around putting the user first in everything we do. Traffic is great for building brand awareness, but you want to attract visitors who align with your ideal customer. In other words, not all traffic is valuable for your business. You deserve visitors who are prone to convert into leads. Through inbound marketing best practices, we develop buyer personas based on market research. Then, we create and deliver relevant content to the right customer at the right time. This approach helps build authority for you and your organization, boosting your search rankings and positioning you to continually educate your target audience and increase brand awareness in your niche. As you establish your authority with your audience, you’ve earned their trust. They want you to continue educating them, so follow through. Otherwise, your visitors will find what they need from your competitors. We map content offers to each of your personas and use conversion strategies to turn your readers into high quality leads. We also continue the conversation using engagement tools like lead flows, bots, and automation. When combining conversion tools with a powerful CRM, we help build your database to better personalize your entire website experience for specific visitors. This is one of the hardest aspects of marketing. You don’t want to simply bring in visitors and generate leads for the sake of doing so. At this stage, you want to establish consistency in delivering value to every segment of your target audience. Consistently delivering high value content is key to your inbound marketing efforts. We use tactics like email marketing, smart content, and conversations inboxes to deliver contextual experiences in meaningful ways that your prospects will remember and even share with their community. A great hardworking team! They go above and beyond more often than they need to. They are incredibly responsive, and always willing to get stuck in. If you’re ready to finally transform your marketing approach and embrace inbound, our team of experts is ready to help you through every step of the way. We educate your team on all things inbound and support you through building and executing strategies, measuring and optimizing our efforts, and establishing a foundation for sustainable growth. "I need to know what our key analytics are and how to properly measure all of it." “I need to know how many visitors we get to the website per month, how they found us and measure their engagement with our content." “I need to know how many leads from the website turn into qualified leads for us and how many of those turn into customers." “I need to know the success/ROI of our Paid Media retargeting campaigns." “I need to know how much traffic, leads, qualified leads and customers we generate from our social media, paid media, organic search, referrals, etc." “We don’t have HubSpot/alternative marketing automation platform but I know our company needs to activate this to effectively engage with and market to our entire database." “We have HubSpot but it’s new to our business so we need help properly implementing and maintaining it so we get the most out of it." “We have had HubSpot for a while and know how much it can help us grow, but we haven’t been utilizing it to full potential due to lack of bandwidth and time." “We know you can use Workflows, Smart Lists and create all kinds of customized rules or criteria for marketing automation, but we don’t know where to start and need help strategizing all of that." “We want to nurture leads with valuable content they’ll actually care about, but how do we make sure everything they see is personalized and relevant to their questions?" “We need someone with modern UX & web development expertise to manage and improve our website in an ongoing basis." “We don’t know any of our key website analytics and need visibility into things like highest trafficked pages, bounce rates, or a user’s average time on site." “We have no idea what heat-mapping software is but have heard it’s valuable for website performance and would like to properly implement it." “We want to build strategized conversion paths for of all our key website pages to ensure we’re converting the highest amount of qualified leads." “We don’t have the resources to execute advanced website improvement efforts such as A/B testing site pages, but we need to factor that into our website strategy." “We need to rank higher in Google’s organic search results." “Some of our main competitors rank on the 1st page of Google organic search results and we’re not on there - we NEED to fix this." “We need to perform a full content and website audit to make sure we’re applying SEO best practices for all of our content." “We’ve written new content for our site several times but it doesn’t seem to make a difference regarding where we rank in search results." “We know what SEO is, but we don’t understand the key factors that improve it or how we should go about it for our organization." "We’ve heard blogging is very important to growing your business online, but we don’t understand why that is or how often we should do it." “We blog sometimes but the topics don’t have a strategy or speak to a primary persona of ours, we just kinda write whatever comes to mind." “We feel our blog posts are pretty valuable and establish us as a thought leader in our industry, but we don’t generate leads from it." “We don’t have any content offers (tip sheets, infographics, eBooks, etc.) and desperately need to create some to convert new website leads for our business." “We want to blog and consistently create new content, but we don’t have the resources to do it or the expertise to make it marketing-centric." “We have some existing offline content but how should we transform that into digital assets? For instance, blog posts vs. content offers?" Our inbound marketing packages start at $6k/mo and are completely customizable to fit your specific needs. How Do You Become Knowledgeable Enough in Our Industry to Write Content For Us? Our team performs a series of Subject Matter Expert interviews along with a detailed analysis of your competitors. In addition, we conduct internal research and industry analysis to get up to speed quickly. Click here to learn more. How Long Before I Will Start Seeing Results? It varies. At a high level, about 90-120 days depending on your existing efforts. We determine quick win opportunities and things that we can capitalize on immediately. For more info, click here. How Much Time Would I Need to Dedicate to Our Partnership? We estimate about 6-8 hours per month. This includes weekly meetings and review / collaboration on work. How Long Are Your Contract Terms? No long-term contracts. We operate on a month-to-month contract basis. This holds our team accountable to staying aggressive in achieving your results. No. All of our account managers, copywriters, strategists, and designers/developers work full-time in-house at our office in Tampa, FL. What Can Inbound Marketing Do For My Business? 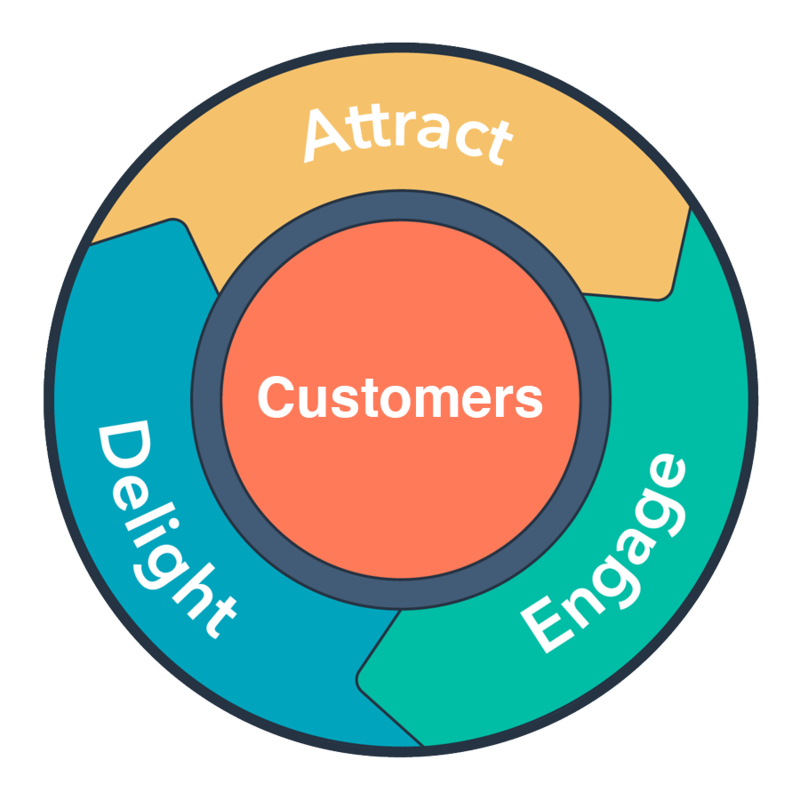 Inbound marketing will help you attract new eyes on your product/service, and close more customers. It will also help build your brand and establish trust within your industry, which will help you retain clients, and in turn, close new ones. To learn more, click here. Inbound marketing helps you increase traffic, get more qualified leads, and have a higher lead-to-customer conversion percentage. Company specific ROI of Inbound is dependent on key benchmark data being established upfront (i.e. length of average sales cycle, average revenue per new customer, etc.) To learn more, click here. How Many People Will Be Dedicated to My Account? 4-7 depending on your volume of spend, and how aggressive your growth goals are. How Do You Communicate Results/Progress? On weekly calls, we discuss prior and upcoming efforts. Monthly snapshot reviews of your key metrics are also available on an online dashboard that you can access any time. Our standard onboarding process is 3-5 business days, however this can be expedited based on your needs. If We Aren’t Looking for Long Term Support, Can You Help Us Train New Internal Team Members? Absolutely. We have done it successfully many times and can factor that into our growth strategy for your company. How Do We Keep Sales and Marketing Aligned With an Outsourced Marketing Team? Collaboration. Keeping your sales team in tune with our efforts, participating in some of our weekly calls, and understanding how your sales process maps to an inbound marketing strategy are all key factors. To learn more, Click Here. Companies we work with most frequently are in the B2B SaaS, Cloud, IT, Manufacturing and Professional Services industries. That said, our approach is industry-agnostic at its core and we’ve worked successfully in alternative spaces. What is Your Client Retention Rate? Consistently between 91% - 96%. This can vary due to our month-to-month services offering vs. contractual as some clients state up front they wish to work with us for a shorter-term while we train/prepare their internal team to take over full-scale inbound marketing & HubSpot efforts. Recieve a full website and marketing evaluation to uncover critical gaps that could be costing you leads and customers.